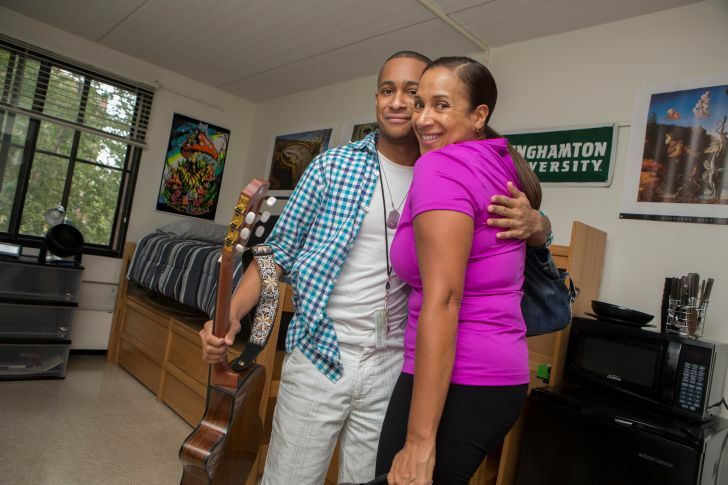 The time has almost come for you to begin your college journey away from home and at a new school, and it all starts with Move-In Day. You may be feeling nervous, excited, overwhelmed or all of the above, but don’t worry -- I’ve got some tips to help you breeze through this first big step. Not sure what to bring? This handy list is a great starting point. You’ll find recommended items to bring, as well as items that are NOT allowed such as -- big surprise -- candles. Keep in mind that both your room and closet space aren’t huge, so don’t bring every single item you own with you. I told this to myself every year and I still ended up bringing more clothes than my closet could handle. My advice? Don’t bring all your winter clothes yet; you’ll have plenty of time to swap your summer threads for your winter wardrobe over breaks and trips home. Speaking of things to pack: Don’t. Wait. Until. The. Last. Minute. To. Shop. 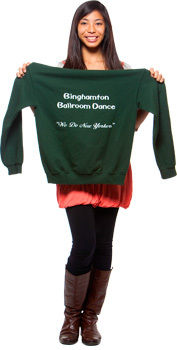 Get your supplies and everything you need for dorm livin’ early! If you wait until the last minute, things will be sold out, and you will be sad. One year when I moved in, I went on a Target run to get some final things and apparently everyone else had the same idea. Needless to say, the pickings were slim. 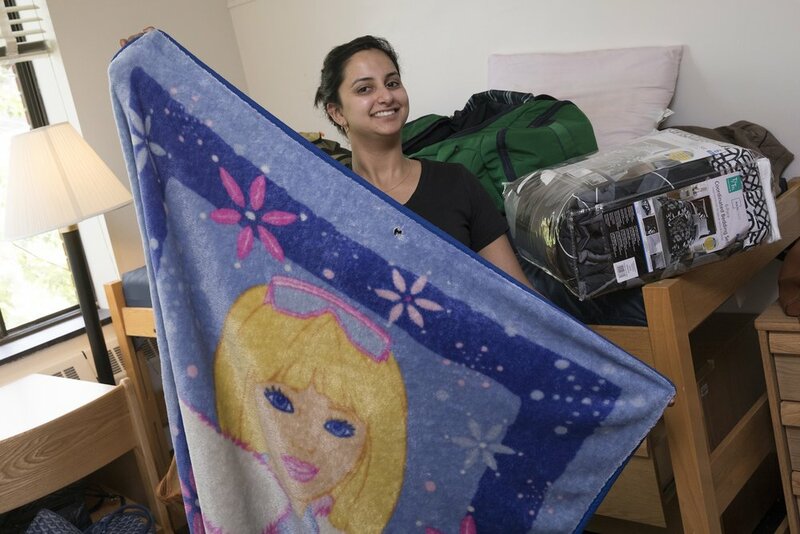 Dorm beds are extra-long twin size, so make sure you’re buying the right size sheets to fit your bed. These can sell out fast -- well, the cool colors and patterns, at least. Get them early so you’re not without sheets, or using smaller ones that just won’t fit no matter how hard you try. 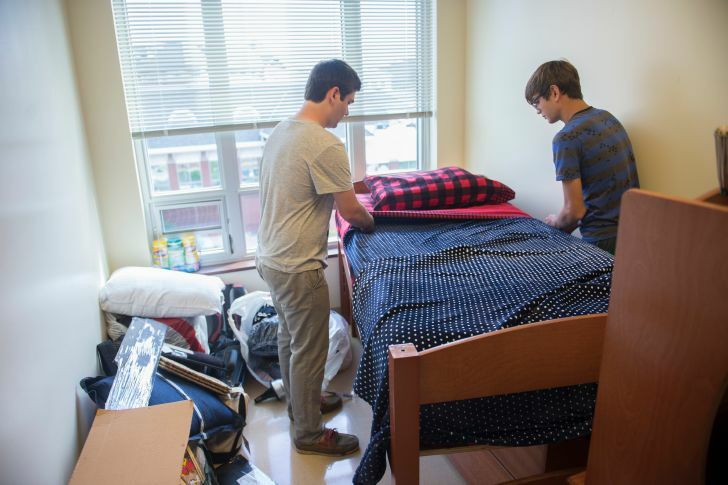 There’s a specific process that the University sets in place so that Move-In Day goes as smoothly as possible for new students and their families. 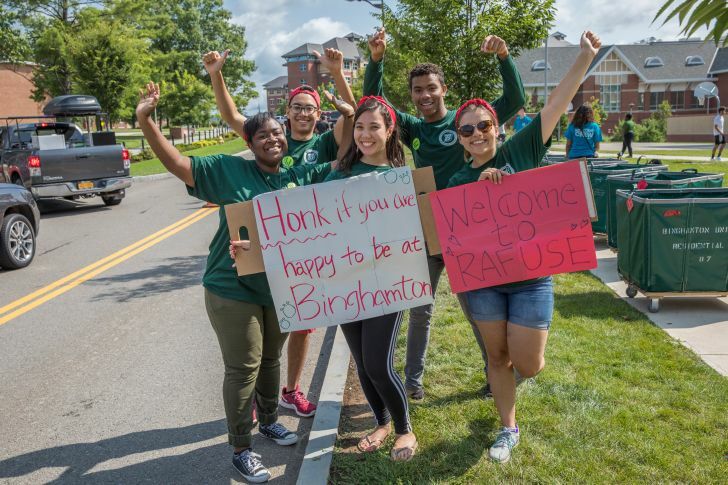 In fact, Binghamton University is known for its efficiency with the move-in process and serves as a model for other SUNY schools. It’s all hands on deck with the help of faculty, staff and volunteers to ensure you have the most pleasant experience. Be sure to look out for the Welcome Crew (in blue T-shirts this year); they’re there to assist you throughout the move-in process. 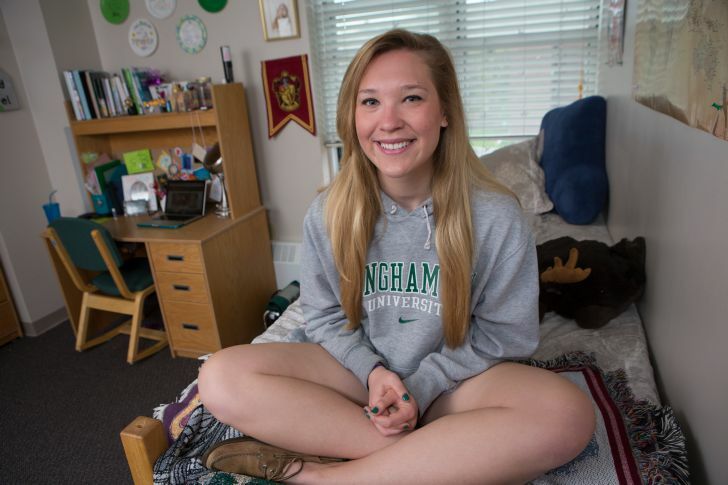 Part of ensuring that Move-In Day goes smoothly involves easily knowing where you need to be on campus. 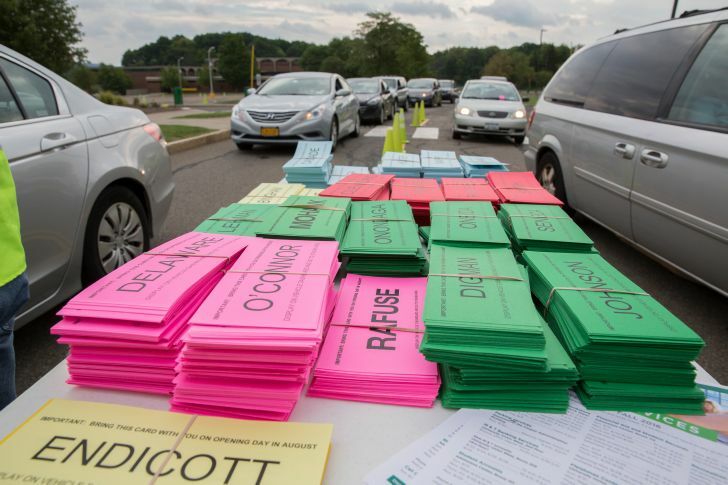 Make sure you remember to place your color-coded card that lists your residential community on top of your dashboard when you arrive on campus. That way, you can be directed to the right location. Also, be aware of the staggered set arrival times that determine when you should arrive on campus, also found here. Be sure to follow this guideline to avoid traffic back-ups and delays with moving in. Nobody likes to be stuck in traffic, am I right? Don’t forget to bring any tools you may need to get your room set up, like screwdrivers, thumbtacks/putty to hang wall decor (check what is appropriate for your residential building! ), scissors and tape. Not only will this obviously make it easier to haul your belongings into your room, but it will also make it easier to meet other students moving in on your floor or in your suite. Say hi and introduce yourself! And don’t be afraid to pop by other open doors to say hello, either. Be friendly to everyone! Not gonna lie -- I spent way too much time saving pins on Pinterest on ways to decorate my new room. You only get so much space, but this is where you’ll be living, breathing, studying, eating, sleeping and so on, so you want to make sure you create a space that you enjoy living in. Posters, artwork, plants and flowers, throw pillows, twinkling lights, and pictures of your friends and family are great ideas to make your room one that you’ll love. Because they did just spend the day helping you move in and unpack. But also because they will miss you! Plus, you may think that you’re so ready to be independent and out on your own, but saying goodbye and watching them leave can hit really hard; it did for me. You’ll be okay and this is totally normal -- another reason to leave your door open and to start making friends with your neighbors. Oh, and don’t forget to call your parents! This is a new adjustment for them as well. Laurie Dupnock is a communications intern and graduate student in the MA English and Creative Writing Program at Binghamton University. She is interested in writing, health and wellness, the outdoors, and loves coffee maybe a little too much.